The artistry of Persia can be seen in the arabesque design of the court’s enormous dome. 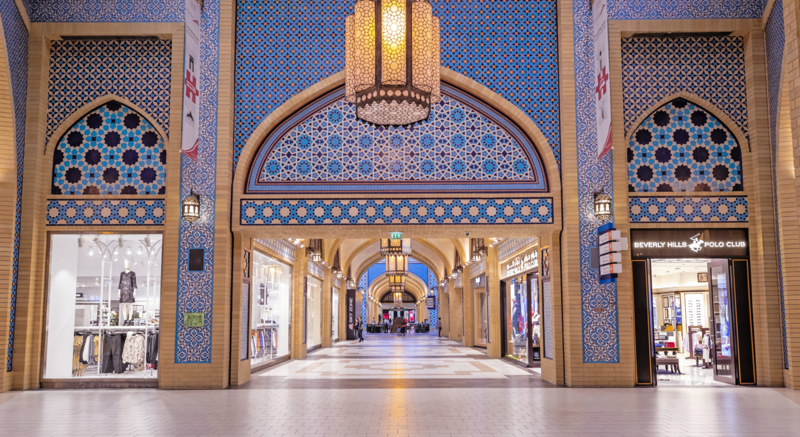 It’s arched passages, blue and turquoise mosaic walkway and magnificent brass chandelier immediately transports you to the vaulted streets of Baghdad. Shop amidst the grandeur of Persian heritage.